The definition of calligraphy in the dictionary is ‘beautiful writing’. The word is rooted from the Greek Language. Kalli meaning beautiful and Graphia meaning writing, literally beautiful writing. In the days before printing was invented, all documents and books were written by hand using calligraphy. Calligraphy originated during the Stone Age, when images were used in place of letterings. The art of making pictures modernised with the increase of people. The Egyptians played a very important role in the development of drawing. In 3600 the Egyptians created the Hieroglyphics for which they are so well known. Symbols were used inside the tombs of the Pharaohs or were painted across papyrus paper. Around 1000 B.C, the Phoenicians created one of the first alphabets and writing systems. As they were marines they passed on their talent to every seaport they traveled to. They influenced the Greeks, who later developed their own style of writing. By 850 B.C the Romans had adapted to the Latin Language. Latin was the written language of the Churches of Europe in the Middle Ages. Due to paper being costly at the time a new style of calligraphy was discovered where more words were fitted into a single line. This new style was known as Gothic script and lasted as a popular scribing technique throughout the Middle Ages. In the 15th century, Joannes Gutenverg a German Goldsmith, printer and publisher discovered and introduced printing to Europe. This allowed faster printing of books. Although the use of printing was high, the handwriting skill was still in demand. During this time the Italians invented the italic script. In the 19th century, flat-edge pens were being replaced by steel pens with rounded tips. With these pens it became difficult to achieve beautiful curves of calligraphy. 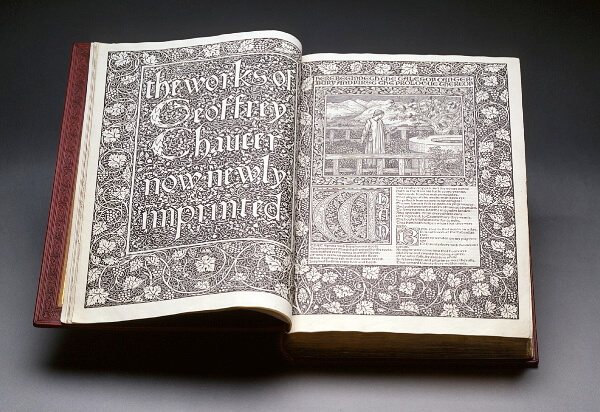 The value of calligraphy was going to disappear until William Morris a British poet and artist in the mid-19th century reintroduced the flat edge pen and elevated the art of writing to the art form of its past.